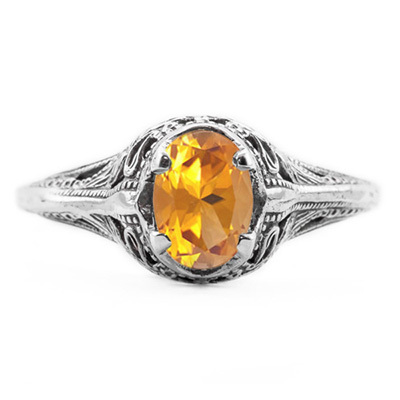 Ignite your inner diva and add a unique touch to a classic accessory with an antique style citrine ring from Apples of Gold. Our jewelry experts have created this stunning piece of jewelry with you in mind. 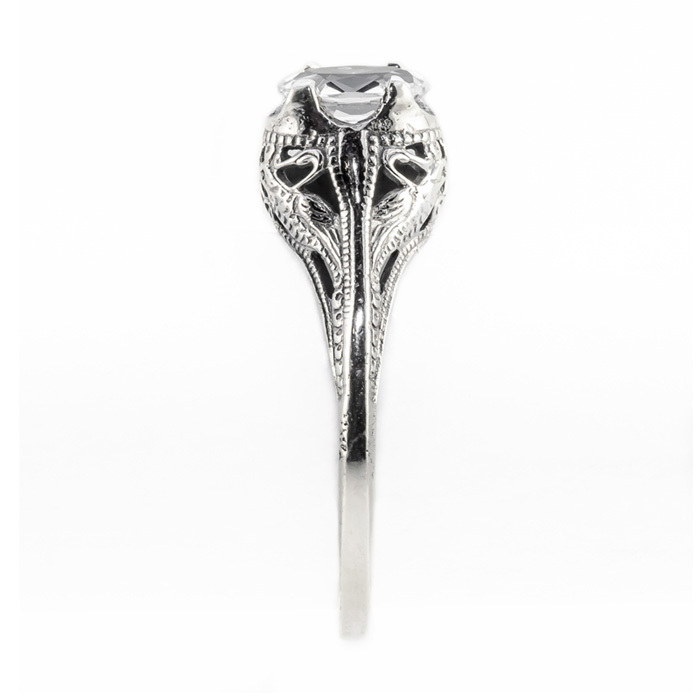 The hand polished 14K white gold and swan design are both show stopping and timeless. 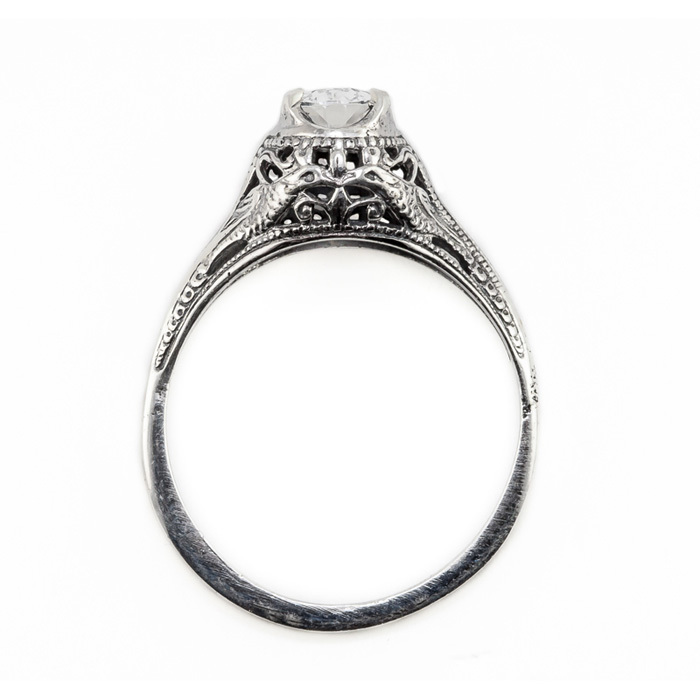 Measuring 7mm x 5mm, this amazingly beautiful ring will compliment any current fashion trend. Please reference our ring sizing chart and buy one today for a November birthday or as a hostess gift for Thanksgiving. Imagine the look of surprise and delight when she opens this beautiful 14K white gold ring. We guarantee our Swan Design Vintage Style Oval Cut Citrine Ring in 14K White Gold to be high quality, authentic jewelry, as described above.